Midtown Central, 59th Street from Fifth Avenue to Eighth Avenue. Central Park South is short, however, for only three blocks there are co-ops and condos offering perhaps the most famous views of Central Park -- trees framed by the skyline of Central Park West on one side and Fifth Avenue on the other. Whether you’re looking for a full-time home or a doorman pied-à-terre, prestigious hotels such as the Plaza and the Ritz-Carlton are offering condominium residences for sale; neighboring Columbus Circle buildings like the Time Warner Center have similar stunning luxury properties for sale and for rent, many with breath-taking views. 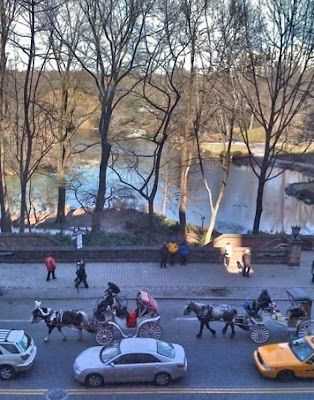 The lifestyle in the Central Park South area is convenient to all, with Time Warner Center offering tree-top views, exquisite dining, shopping and entertainment. If you want an echo of old New York, you’ll hear it in the clip-clop of horse-drawn carriages making their way through the Park. In addition to the quiet of Central Park itself, one of Manhattan’s top urban sanctuaries is near Central Park South in the plaza of Columbus Circle, where a monument to the Italian explorer is nestled inside a 99-jet fountain. While many of the historical buildings offer modern amenities such as parking, it’s also just blocks to the corporate headquarters of Midtown, the artistic offerings of Lincoln Center, and the newly-redone Museum of Modern Art. 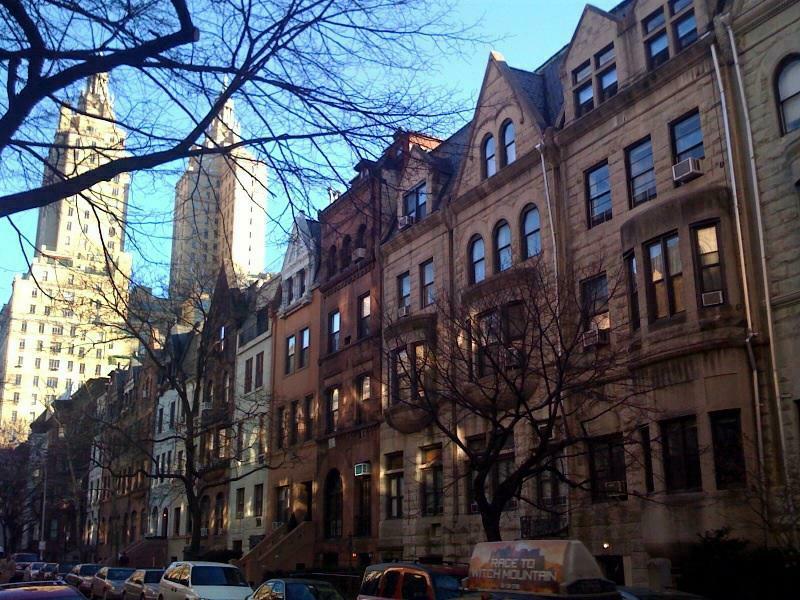 Currently there are about 98 active coop and condo listings on Central Park South. They range from a small studio coop for $399,000 to a 6319 square foot 4 bedroom; 5.5 bath Penthouse for $37.5 million at the Residences at The Plaza. Please contact me if you're interested in buying, selling or renting a condo or coop on Central Park South. Beautiful photo Mitchell. $399,000 is a lot cheaper than I would expect to get anything around there, even a small studio. Mitchell What a charming photo of central park .You are my go to man in NYC for sure.There would be no one else I would recommend for the job . I just love your posts on NYC . Hi Alexandra, Thank you. I enjoy photography and real estate. I also loved LA but I got an offer I couldn't refuse. I grew up in NY and ran away to LA in the late 70's after college because NY was so horrible then. I have loved NY ever since I came back. Christine, Thank you. Yes you can get a studio coop for $399K. Condos are more but easier to purchase. Since everyone seems to like my photos including for profit commercial websites selling "luxury new construction Manhattan condos". That is right. I discovered this photo on a commercial website blog that answers their phone "We are a full service Market place" They must be some kind of non broker licensed lead generation site. Although they say leave a message to schedule a showing. They must then sell the lead to a legitimate broker. They have no name or contact information on the site. If they were licensed in NY State that would be a violation of DOS in addition to copyright infringement since all real estate licensees in NY are required to have their name, address and license title visibly displayed on all marketing material. This photo, I have used several times since 2009 or earlier taken with my first iPhone which I still have and the photo is still in the phone. and on my blog nyc BLOG estate a few days ago which is probably where they stoal it from. It's the second time in less than 60 days that my blogs have been plagiarized. The last time it was a salesperson at a competitive broker who copied and pasted about 20 of my blogs, word for word. Mitchell, the views from some of these buildings is just spectacular. I want to live there! Hi David, Sorry I left out the price $37.5 million. I'll add it to the post. Pat, Yes the views are great because they look north directly at the park.